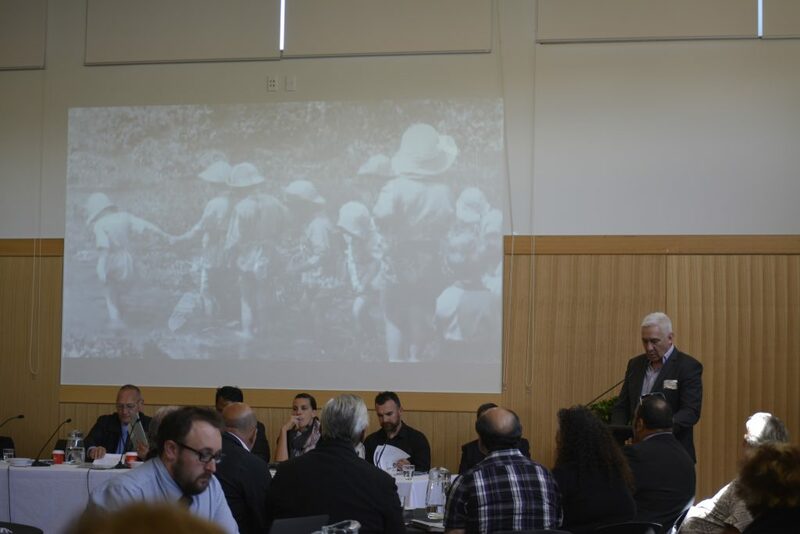 The Iwi Chairs Forum is a six-monthly conference for Māori Leaders from all over Aotearoa. Topics included social justice, housing, environment, health and economic growth to name a few. There were about 65 Iwi leaders and an entourage of support staff of around 50 at first glimpse. The Forum was held in Grovetown, a small settlement 3.5km north of Blenheim, Wednesday afternoon 31 November for the three day event. An impressive conference centre named ‘Ukaipo’ was built for Te Rununga a Rangitane o Wairau, a small but important subgroup of Ngai Tahu Iwi hosted the manuhi. It was quite emotional presenting the kaupapa to the delegates who were such an illustrious group of leaders, entrepenuers and creative people. 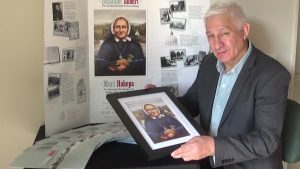 They listened attentively about a small French nun who made a huge influence on the Māori people when she got to Aotearoa in 1860 and died in the country and with the people she loved in 1926. She provided the basis of many prayers, bible text and writings in Te Reo Māori; the native language taught to her by her Māori whanau at the time. She developed medicinal remedies based on Māori Rongoa taught to her by her Māori whanau expert in the various fields. When she arrived in Wellington 1899 she was determined to show the rest of Aotearoa her gifts and shared them with the displaced and disabled. She saw ‘Christ in everbody’ but never forgot her Māori whanau from the Whanganui river, plains of Heretaunga, shores of Te Tairawhiti East Coast and many other of her wahi tapu / sacred places. Many Māori of that time didn’t know Suzanne Aubert by her true name but by Meri Hohepa as she was affectionately known. She is remembered in the hearts of many Māori, to this day, as Meri Hohepa.